Some video games gently pull you through a narrative experience, offering the player everything they need along the way without any barriers or fuss. Movement is unrestricted, the environment is an ally, and there are no pressures of failure or time in sight. 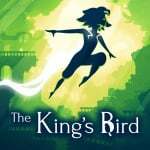 And then there is The King's Bird. 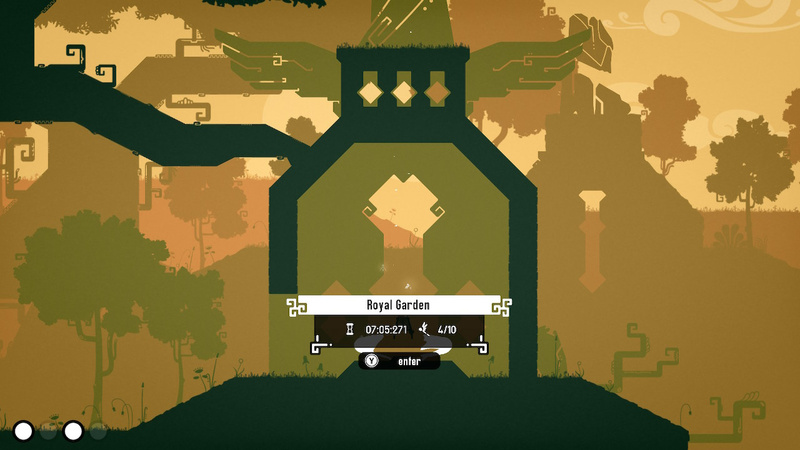 Developer Serenity Forge has thrown their hat into the precision-platformer ring with a game that poses no lack of challenge nor demand of skill. 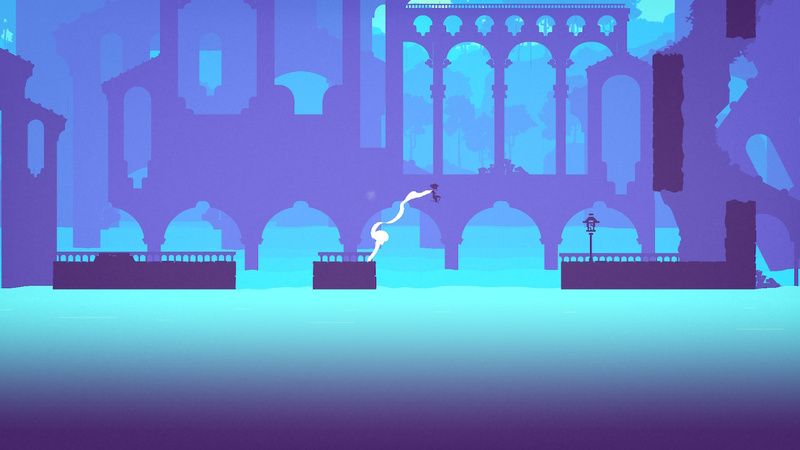 Those who live by the "git gud" mantra may feel right at home here, although there are a few noteworthy wrinkles that keep The King's Bird from being too derivative of similar indie outings. The adventure begins when a feminine figure awakens and makes her way toward a brief, heated confrontation with a royal father figure; or at least, presumably so, since "dialogue" is delivered via musical sound effects, and no text accompanies the exchange. Further clues to the underlying story can be found in background murals, and perhaps in considering the general no-longer-pristine state of the world. Although The King’s Bird definitely reaches heights of difficulty at times, at least it does to transparently, and presents prospective gliders with a simple question: can you train yourself to beat this challenge? Ultimately the answer is 'yes', but whether or not you’ll want to devote the time is up to how much you enjoy the genre. 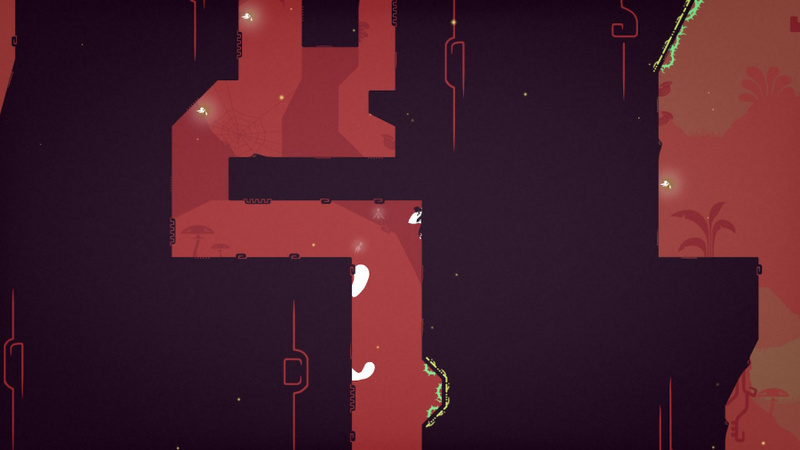 Disclosure note: During our playthrough, we encountered a couple different progress-affecting bugs in the lategame. We got in touch with Serenity Forge, and they were able to help navigate these spots. It is our understanding that they have a patch ready to go, and it should "fix all later-game crashing issues across the board." The King’s Bird is a tightly designed precision platformer whose gameplay loop consists of retrying the same frustrating areas until reaching the satisfaction of conquering them. Lather, rinse, repeat. The moments of flying through a dreamscape and sticking the landing are a true delight, at least. 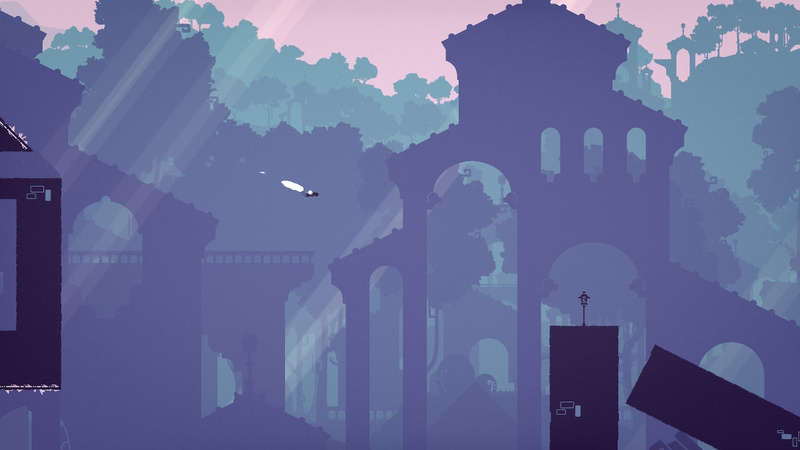 For fans of hard-mode platformers, this may arrive as a welcome treat and worth sinking a handful of hours into for that sweet payoff, but those with other tastes may want to keep looking elsewhere. 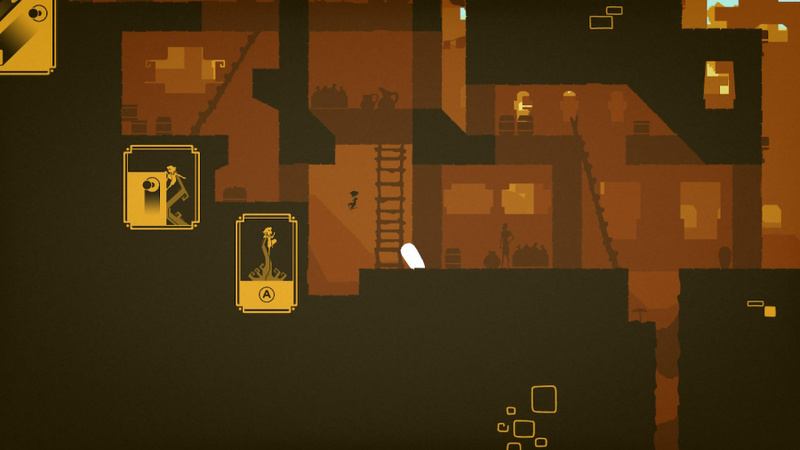 what is the sudden obsession with indie games trying to provide masochistic levels of difficulty? can't indie devs just provide adjustable difficulty? @Charlie_Girl I don't know specifically about the origins of this game, but I figure many will see one game do something very well, gain a lot of recognition for it and then the "me too" clones start appearing. In the case of hard difficulty....Celeste did very well and won awards so...bring on the clones, I guess. @subpopz true enough. 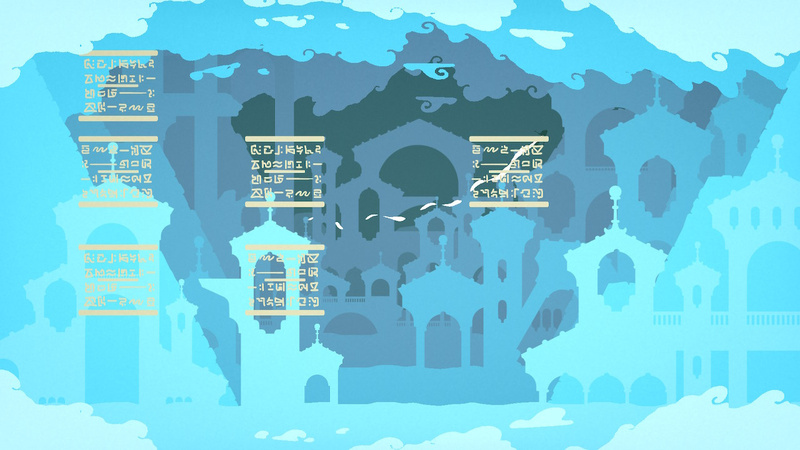 but, Celeste had numerous difficulty options. Not really into super precise, punishing and unforgiving games. I mean I played all the souls games multiple times starting with Demon's Souls but I liked those games because they're fun, well made and interesting games, not because of the times I got stuck fighting wheel skeletons or one shotted by bosses. @Charlie_Girl Sounds like this game has some degree of adjustable difficulty with its assist mode. I've been loving this game but there's definitely a game-changing bug at the third world that I can't bypass. That game patch would sure be nice.